Potty training for kids takes patience and practice, and this charming, straightforward book helps pave the way. 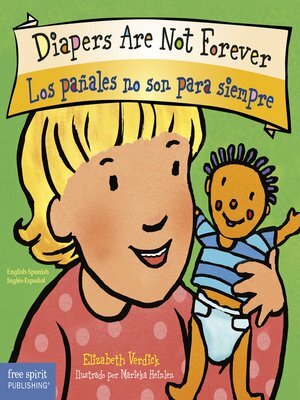 With Diapers Are Not Forever / Los pañales no son para siempre, young children learn how to use the potty and why it's time to do so, while gaining the courage and confidence to face this important milestone in their lives. When little ones learn to do what the big kids do (go, wipe, flush, wash their hands), they won't need a diaper anymore—they'll have underwear under there! The book includes tips for parents and caregivers from a children's health specialist.